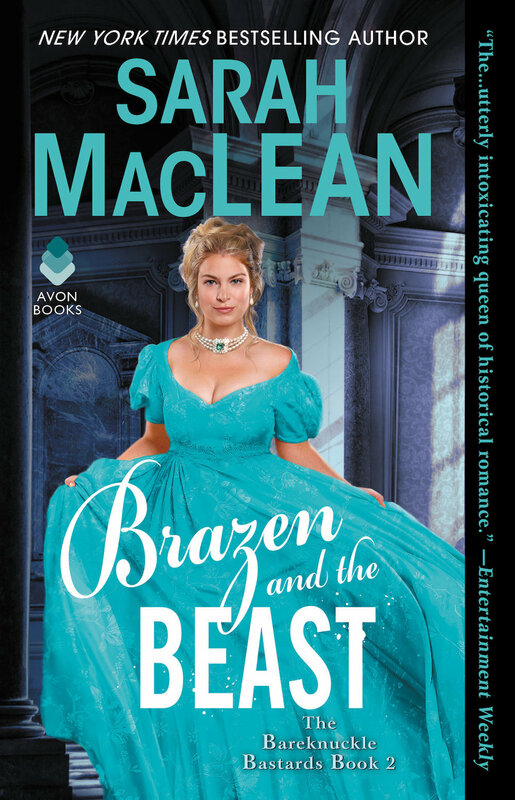 We all need some historical romances in our lives every once in a while, but every time I dive into one, I end up reading five in a row. This was my first encounter with Sarah MacLean’s splendid writing and the beauty of her language quite literally took my breath away. She paints a vivid picture of nineteenth-century London’s dark underworld and the characters it comprises, as well as of the city’s more affluent classes, the quality of her prose standing out in a genre known for its lyrical delivery. I was entranced by the detail, the cadence, the movement of her words, but above all, by a love story that is sheer beauty beginning to end. So I cannot express how EXCITED I am to share with you a sneak peek. She closed the door behind her with urgency, pressing her back to it, as though she could prevent others from following with nothing but sheer strength of will. Strangely, Devil thought she might be able to do just that. She was strung tight, her head against the door, long neck pale in the moonlight, chest heaving as a single, gloved hand came to rest on the shadowed skin above her gown, as though she could calm her ragged breath. Years of observation revealed her movements unpracticed and natural—she did not know she was being watched. She did not know she was not alone. The fabric of her gown shimmered in the moonlight, but it was too dark to tell what color it was. Blue, perhaps. Green? The light turned it silver in places and black in others. Moonlight. It looked as though she was cloaked in moonlight. The strange observation came as she moved to the stone balustrade, and for a mad half-second, Devil considered stepping into the light to have a better look. That is, until he heard the soft, low warble of a nightingale—Whit cautioning him. Reminding him of their plan, which the girl had nothing to do with. Except that she prevented it from being set in motion. She didn’t know the bird was no bird at all, and she turned her face to the sky, hands coming to rest on the stone railing as she released a long breath, and with it, her guard. Her shoulders relaxed. A thread of something unpleasant wove through him at the idea that she’d fled into a dark room and out onto a darker balcony, where a man waited who might be worse than anything inside. And then, like a shot in the dark, she laughed. Devil stiffened, the muscles in his shoulders tensing, his grip tightening on the silver handle of his cane. It took all his will not to approach her. To recall that he’d been lying in wait for this moment for years—so long he could barely remember a time when he wasn’t prepared to do battle with his brother. He was not going to allow a woman to knock him off course. He didn’t even have a clear look at her, and still, he could not look away. “Someone ought to tell them just how awful they are,” she said to the sky. “Someone ought to march right up to Amanda Fairfax and tell her that no one believes her beauty mark is real. And someone ought to tell Lord Hagin that he stinks of perfume and would do well to take a bath. She paused, just long enough for Devil to think that she was through speaking into the ether. He shocked himself with the words—now was not the time to be talking to a solo chatterbox on the balcony. He shocked Whit more, if the harsh nightingale’s call that immediately followed was any indication. But he shocked the girl the most. With a little squeak of surprise, she whirled to face him, her hand coming to the expanse of skin above the line of her bodice. What color was that bodice? The moonlight continued to play tricks with it, making it impossible to see. She lifted a shoulder. Let it drop. “About balconies? Or trysting?” Not that he cared. He should not have experienced satisfaction at the answer. “Which?” He didn’t like the way she wove the conversation around them, twisting it in her own direction. For a single, wild moment, a vision flashed of the tryst they might find here, on this dark balcony in the dead of summer. Of what she might allow him to do to her while half of London danced and gossiped just out of reach. Of what he might allow her to do to him. He imagined lifting her up onto the stone balustrade, dis- covering the feel of her skin, the scent of it. Uncovering the sounds she made in pleasure. Would she sigh? Would she cry out? He froze. This woman, with her plain face and her un- remarkable body, who talked to herself, was not the kind of woman Devil ordinarily imagined taking on walls. What was happening to him? “I shall take your silence as a yes, then. And give you leave to tryst on, sir.” She began to move away from him, down the balcony. The nightingale again. Quicker and louder than before. Whit was annoyed. “Then why are you here?” the woman asked. He ignored the question. “Why are you a spinster?” Not that it mattered. “Everyone has a father,” she said. Plain had occurred to him, but she wasn’t plain. Not really. In fact, she might be the opposite of plain. That was absolutely not true. “Hope springs eternal,” she said. “They say he’s mad,” Devil pointed out. “Why not?” He didn’t care. “And so,” he prodded, knowing he shouldn’t. Knowing he should leave this girl to this balcony and whatever future she was to have. He did not reply, not certain of what he would say. Not trusting himself to say what he should. “I shan’t tell anyone I saw you,” she added. “You haven’t seen me,” he said. “Then it shall have the additional benefit of being the truth,” she added, helpfully. The nightingale again. Whit didn’t trust him with this woman. Copyright © 2018 by Sarah MacLean. Reprinted with permission of Avon Books, an imprint of HarperCollins Publishers. Thanks for sharing the excerpt! 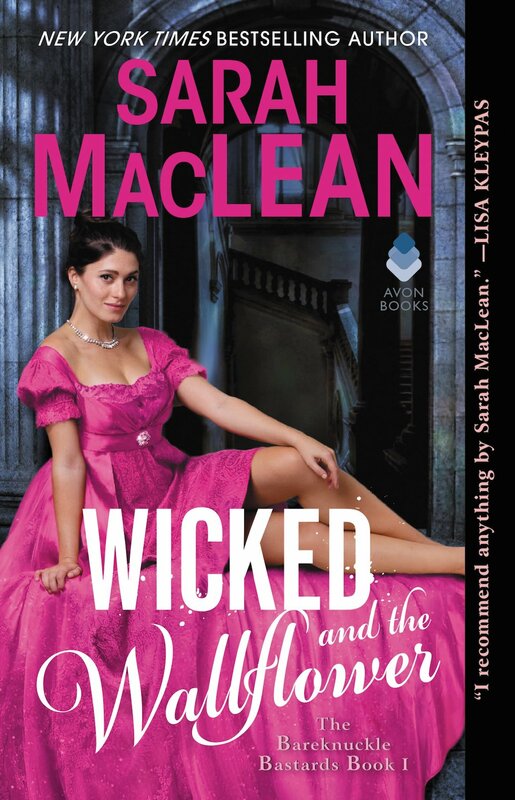 I adore Sarah’s books, I just finished One Good Earl Deserves A Lover recently and it reminded me how much I love her writing. I can’t wait to read the rest of this one!